May God Bless your life in a wonderful way. Enjoy everyday his love, peace and see how He opens doors for you. Congratulations on your Great birthday. Congratulations, Great Birthday, Blesssings. 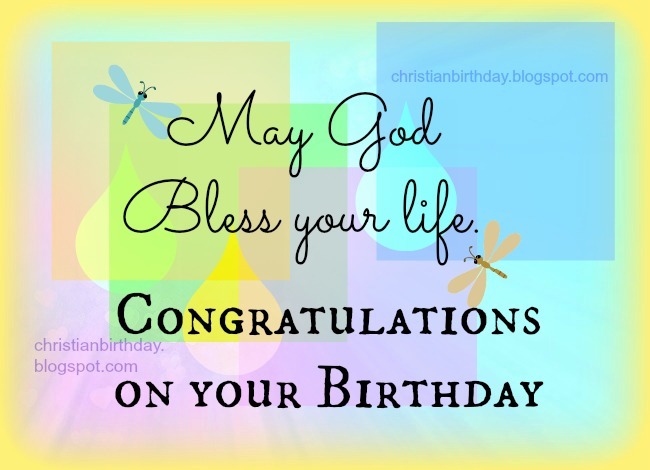 Free christian birthday quotes, free image, nice cards to share with friend on their birthday party day. Free religious pictures for facebook friend wall, daughter, sister.